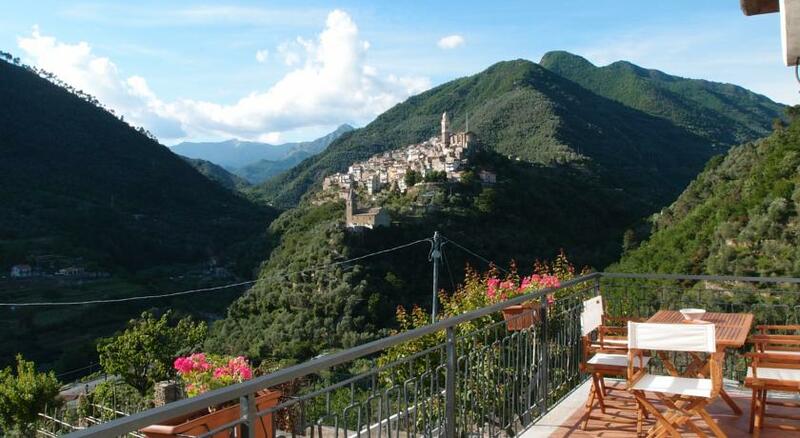 Just inland from the Italian Riviera in the beautiful green hills of Badalucco, Liguria, this highly rated agriturismo has stunning views of the surrounding forests and mountains. It has a range of comfortable rooms, a shared lounge, and lovely gardens with outdoor seating to enjoy those views from. You can also enjoy some really terrific home made Italian food. The area is great for hiking, cycling and horse riding while the beaches of the Riviera are just a short car ride away, with Monte Carlo just 40 km along the coast.